Media plays a crucial role in communities that aim to be livable and progressive. A strong local press can “follow the money,” and shine a light on the dark corners of government, to force action, and to criticize bad ideas. Journalists can attend the meetings where decisions are being made and be there for us when we need them most. No media outlet can force quite as much public scrutiny as print media (and, in some instances, its companion digital content). Stories can extend over days and, even weeks, without losing the thread or the audience. News coverage can certainly enhance business and highlight local celebrities; but, when coverage focuses on problems and issues, it gets attention that can initiate action. The newsroom at Charleston’s daily newspaper, The Post and Courier, is led by editor Mitch Pugh, and has been bold and smart — reporting, investigating, and commenting on the most important issues that face Charleston on a daily basis, not just the tragedies that befall us. 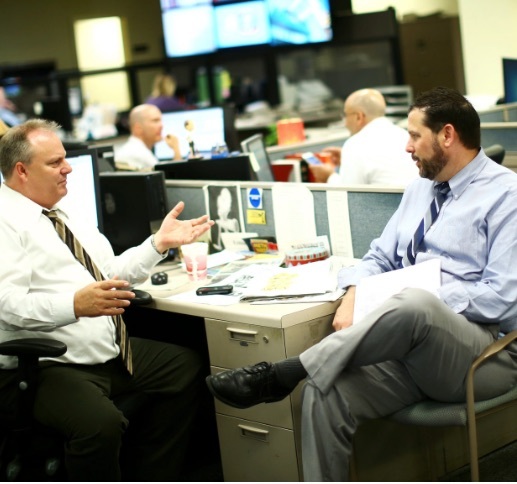 On May 28, 2015, The Post and Courier received the Pulitzer Prize in Public Service for a five-part series on domestic violence published in August 2014, and entitled, “Till Death Do Us Part,” beating out stories in the much larger papers The Boston Globe and Wall Street Journal. In the words of the Pulitzer Prize jury, it was “…a riveting series that probed why South Carolina is among the deadliest states in the union for women and put the issue of what to do about it on the state’s agenda.” The genesis of this series, from the perspective of the paper’s editorial staff, is outlined in the paper’s nomination letter for the Prize. It is well worth reading (here). The entire series is available here. “…I’m listening, because that’s my city right there, and this is the local news, and the sports guy, even though he’s the sports guy, is doing the job I need him to do right now, which is to make me feel like somebody I know is telling me about something terrible happening where I live. “The mass media scrum that followed brought the ‘usual’ suspects: CNN, FOX, ABC, NBC, CBS, ad infinitum, ad nauseam. … Thus begins the deluge of words from people I don’t know and who aren’t from around here and who broadcast from New York or Los Angeles or Miami and who arrive on scene to tell us all about the tragedy, and the history of the church, and of the people who have been killed. Local media, especially a newspaper, matters. And, while some may question the ability of print to survive in the digital age, this coverage is a key ingredient in what makes our city livable because it narrates our story and our concerns for our ears. In Charleston, fortunately, there is an audience for print media, whether it is The Post and Courier, Charleston City Paper, The Charleston Chronicle, or Charleston Magazine. We’ll be checking in on how other media makes a difference in coming blogs. So stay tuned!